PLAYLIST SERIES: JULY July had us hooked on a handful of new and older tracks and artists. This month was a copious capsule of songs that varied in style and brought out the diverse sounds and experimental flavors. 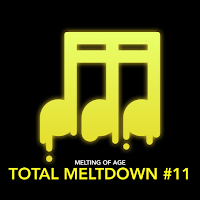 All collected in one playlist, check out what we discovered this past month for our TOTAL MELTDOWN #11 Playlist! "TAP" - MASAYOSHI IIOMORI (MARU REMIX)An industrial factory possessing heavy machinery clanking and impacting one another, creating waves of rippling shrieks, and roars of deep octaves. Well, Maru's remix of Masayoshi's "TAP" can compare. From the country that rocks the boat in innovative electronic music, this Tokyo native beautifully corrupted a track and ripped it into micro shreds of winding bass and synths. 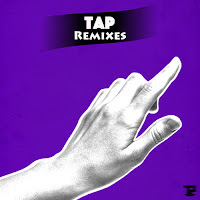 Released on a 3 track remix EP, Maru's version of "TAP" undeniably breached the safe zone and took the levels of the original's experimental dance track to another dimension. Below share and listen to Maru's remix of "TAP"! 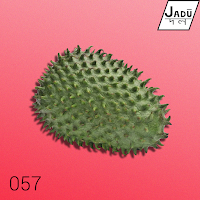 "NO STANDING" - HEADSTONE & VICES Released via Jadū Dala, Aussie producer headstone and Philly/Orlando duo Vices, crank out a heart beating collab titled, "No Standing"! Eerie as the intro, the track's entirety is immersed in bellowing bass and daunting horns. The clashing drum work and arousing chopped vocals build for a bouldering track that is nothing but expected from these two powerful sides! 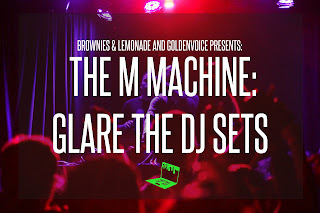 This fruitful piece bleeds elements of trap and classic club beats that are more than ready to be incorporated in your daily dose of songs that wreck the speakers. Below share and listen to Vices and headstone's "No Standing"! SPACE JUICE VOL.1: PERSONASHip-hop/rap collective, Generic, has been catching the ears and eyes of many lately. With a growing response both on SoundCloud and Twitter, the 6 membered crew, continuously grows with each unique release. Produced by Petti, Space Juice Vol.1: Personas drops as their debut album, both composed of past heaters alongside new and awaited ones! With the cohesive stirring flow and inky fluid production, Space Juice reps each member of Generic's originality, identity, and ability. 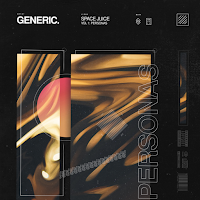 Below share and enjoy a listen to Generic's Space Juice Vol.1: Persona's! Also available for Spotify stream here! CRANESERVICE LA Last summer, artist collectives Paper Crane and Fanservice, each debuted an LA show that displayed the collectives' diversity in artists and capability to throw killer shows! This year we are gifted with a rare collab show that brings together some of the collectives' most talented artists including new additions such as Slow Shudder and 2ToneDisco! 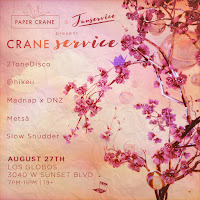 Taking place at Sunset Blvd's Los Globos, the line up consists of Paper Crane's Metsä and @hikeii and a special b2b set with the collective's owner, Madnap, and Fanservicece founder, DNZ! 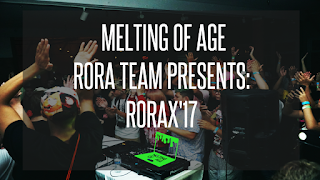 Make sure August 27th is a date to mark down because you will not want to miss this long awaited collab event! Below check out all the event details and grab your tickets now! "HOLD ME" - 2TONEDISCOA delightful tune filled with joyful trumpets and giddy vocals, this new 2ToneDisco release will lift even the lowest of spirits. The eclectic sound offered in "Hold Me" spins in all the right directions with peculiar vocal chops and bouncy drum work. Melting within the midst of the track we are then slipped into a smooth piano instrumental and billowing ocean waves, calming our senses from a wild melodic ride. Extracting whimsical summer vibes, "Hold Me" embraces the feelings of new beginnings and finding the surprise in life's simplest things. 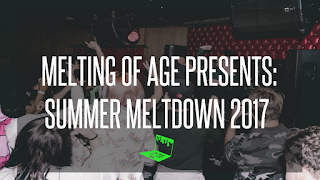 Below share and listen to 2ToneDisco's "Hold Me"! 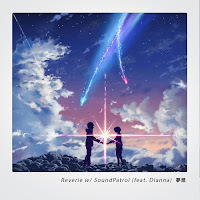 "REVERIE" - DEXTRUST X SOUNDPATROL FT. DIANNATwo producers from two different sides of the world join to deliver a vibrant collab that joins both poetic verses by Californian vocalist Dianna and charged lustrous synths. Offering an intro composed of delicate rainfall and a gentle piano ballad, "Reverie" draws inspiration from the dazzling film, Your Name. Netherlands's SoundPatrol, and Virgina's dextrust, cohesively bring together both of their styles in producing beautiful musical pieces that take your mind to another world. Below share and listen to dextrust and SoundPatrol's "Reverie" featuring Dianna! "GLIDE (FAVORITE GIRL)" - EHIOROBO & FLAMINGOSIS [OFFICIAL MUSIC VIDEO] A story about past love and lingering dedication, written by Ehiorobo, his collab with Flamingosis titled, "Glide (Favorite Girl)," comes to life in a colorful music video directed by Ricky Rosario. 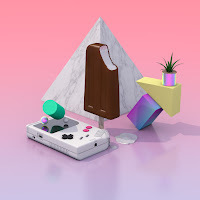 Taking place at an evening in the park, chasing love and a girl's attention, Ehiorobo steps up to the screen and presents a charming and vibrant visual storyline that sublimely encases his collab with Flamingosis. Below check out the Artist Q&A talking all about their music video for their collab release "Glide (Favorite Girl)"! Also available for Spotify streaming here! What was the inspiration for the "Glide (Favorite Girl)" Music Video? 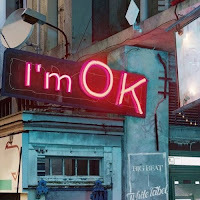 "I'M OK" - MANILA KILLA & AOBEATS (OLMOS REMIX) From Orange County, California, Olmos reconstructs a melodic Manila Killa x AObeats's "I'm Ok" into a glorious revving remix. Olmos applies growling bass and manipulates Shaylen's vocals into a high-pitched rhythm, giving the drop a darker edge. 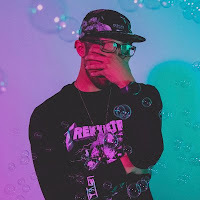 Breaking the track down into a trap future sound, this Californian producer successfully put his signature on this remix. 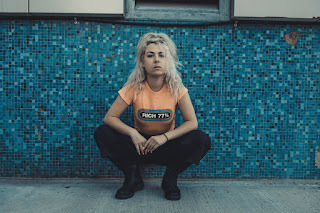 Below share and listen to Olmos's remix of "I'm Ok"! Also available for download here! SPACE CANDY: A STORY THEMED MIXFor Guest Mix #2, we are all in for a real treat from UK artist, Space Candy. Taking us on a wild trip around the world, Space Candy selects tunes that tell a tasty colorful story about adventure and exploration. 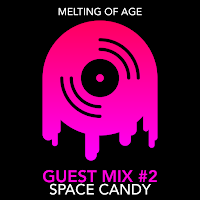 This 27-minute mix is the perfect way to continue your summer vacation and opens a doorway to discover new music from Space Candy and more! Below take a listen to Space Candy's guest mix and follow along to its intergalactic storyline titled, "Road Trip Thru A Themed World!" Enjoy! You're with friends, in your dune buddy, use just entered the park, and the road is smooth, the times are good, you still have like all your gogurts left. You are all feeling good af !! !